When will be Cycling: Tour Series Highlights next episode air date? Is Cycling: Tour Series Highlights renewed or cancelled? Where to countdown Cycling: Tour Series Highlights air dates? Is Cycling: Tour Series Highlights worth watching? With ten town and city centres holding the only British domestic cycle race, ITV4 present the Tour Series Highlights shows from every round. Ned Boulting presents action from round seven of the fast-paced Tour Series city centre races from Motherwell. Commentary comes from Marty McCrossan and Tony Gibb. Ned Boulting presents action from round eight of the fast-paced Tour Series city centre races from Aberdeen. Commentary comes from Marty McCrossan and Tony Gibb. Ned Boulting presents action from round nine of the fast-paced Tour Series city centre races from Durham. Commentary comes from Marty McCrossan and Tony Gibb. Ned Boulting presents action from round ten of the fast-paced Tour Series city centre races from Stevenage. Commentary comes from Marty McCrossan and Tony Gibb. 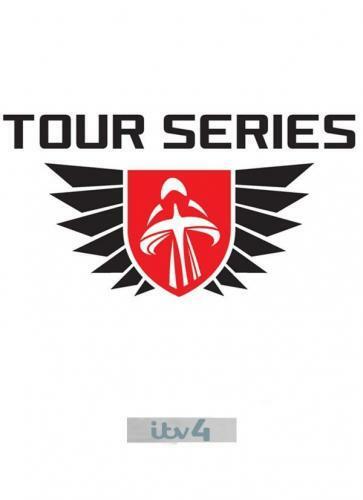 Cycling: Tour Series Highlights next episode air date provides TVMaze for you. EpisoDate.com is your TV show guide to Countdown Cycling: Tour Series Highlights Episode Air Dates and to stay in touch with Cycling: Tour Series Highlights next episode Air Date and your others favorite TV Shows. Add the shows you like to a "Watchlist" and let the site take it from there.